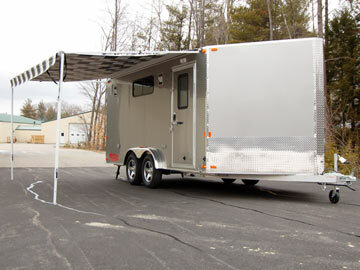 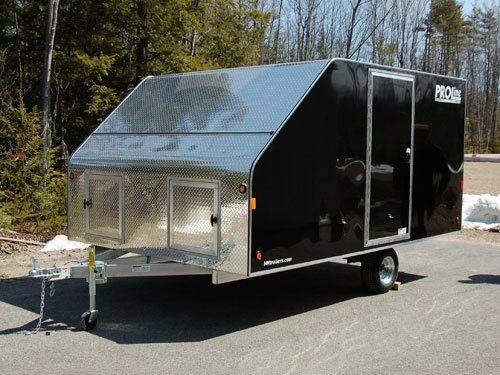 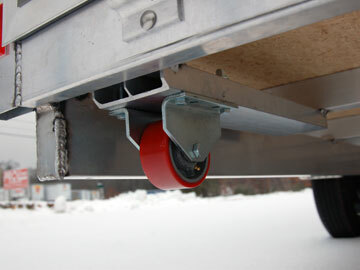 This enclosed aluminum car trailer is ready for your next track day no matter where that may take you. 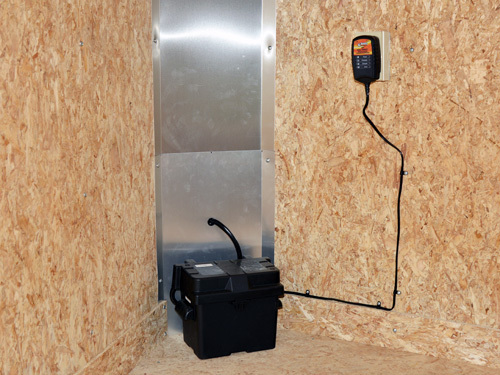 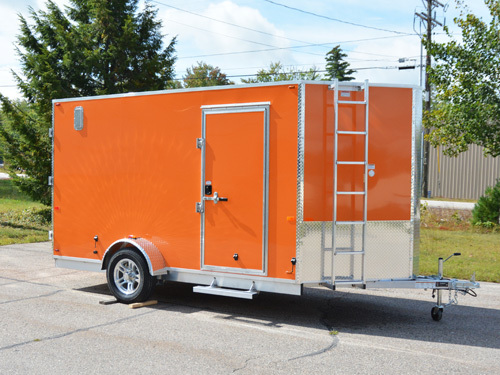 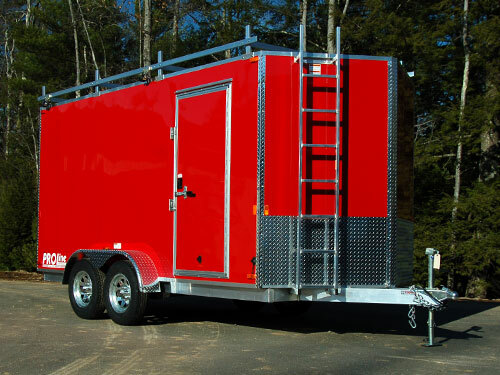 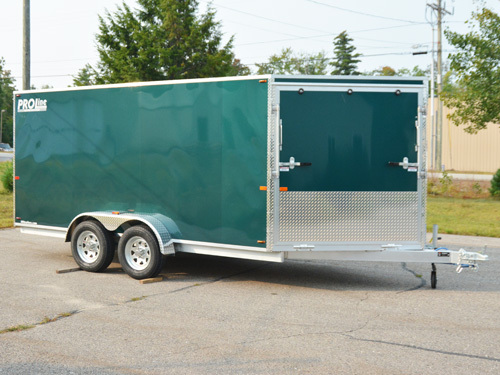 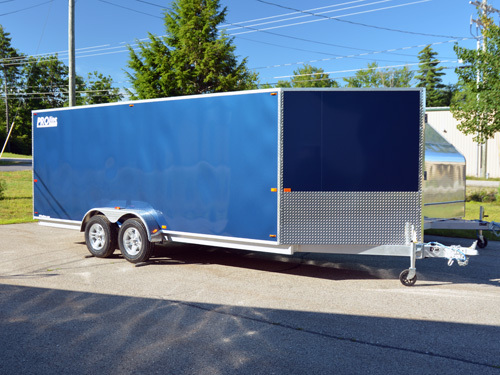 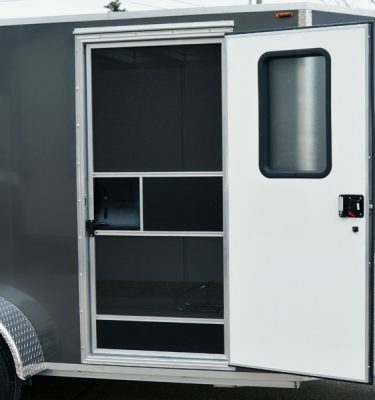 Designed for better fuel efficiency with a lower deck height and a sharp 52″ V-nose to cut through the wind this trailer will effortlessly follow you, much like your competition! 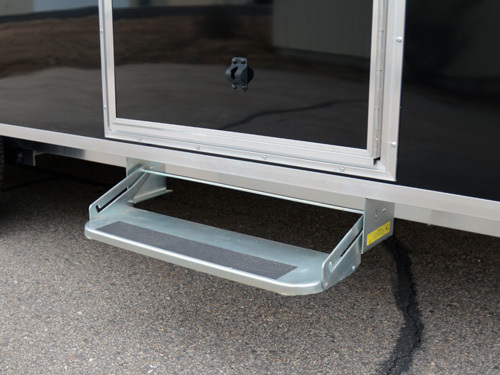 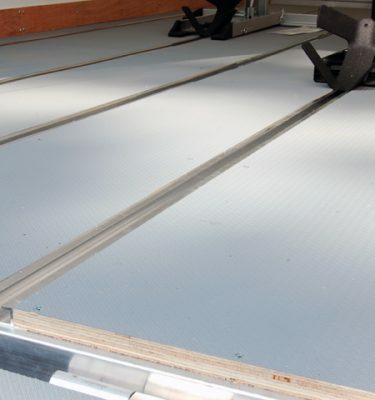 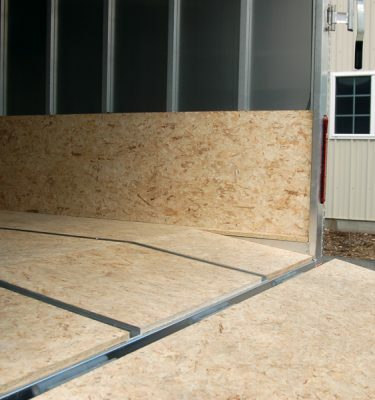 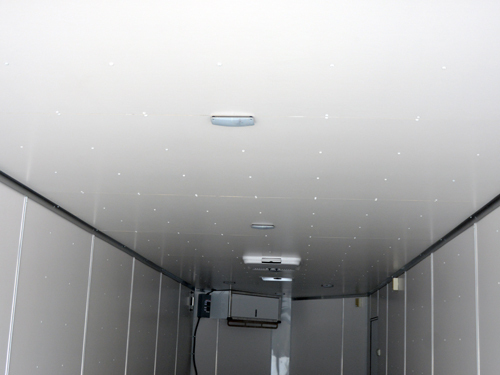 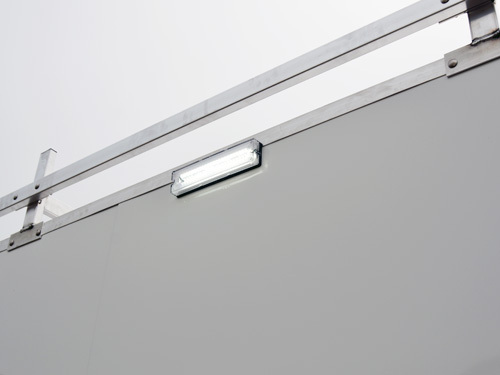 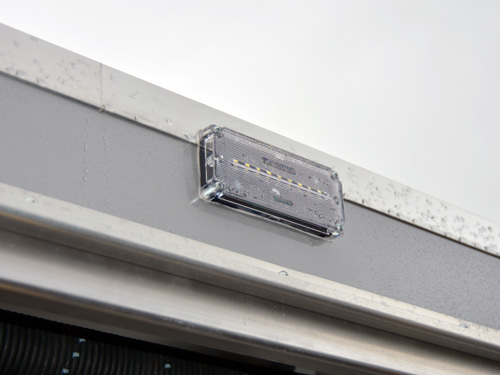 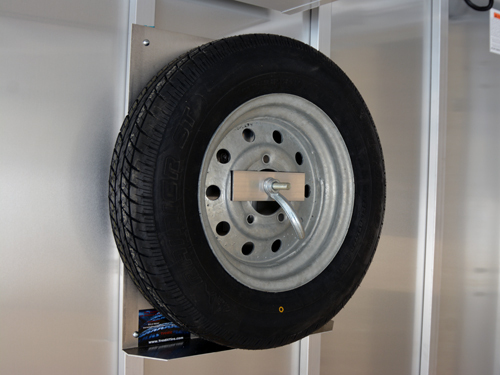 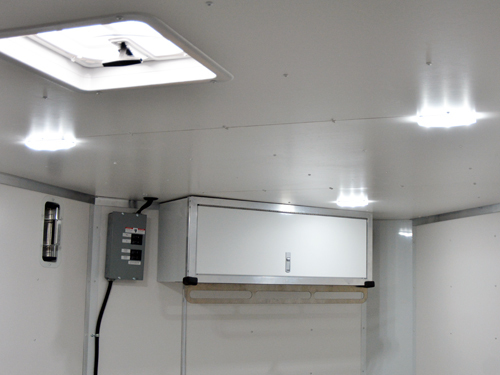 The rear ramp door height comes in at 72″ high (for a 6’6″ interior) and can be increased with optional beavertail to decrease the grade for those low profile cars! 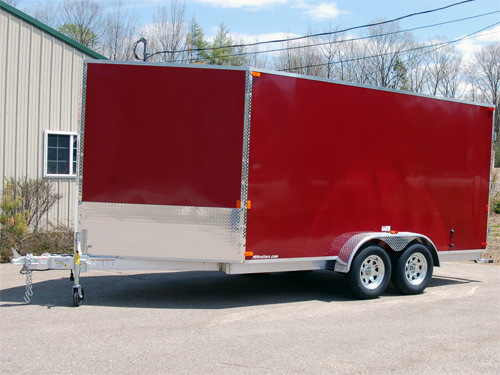 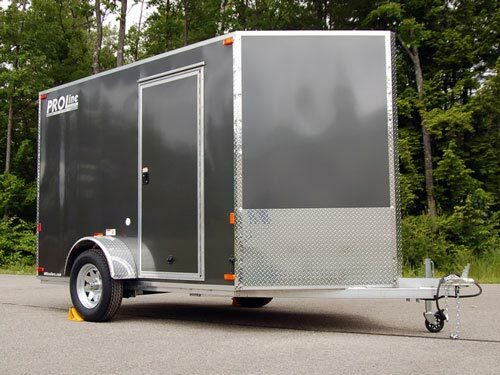 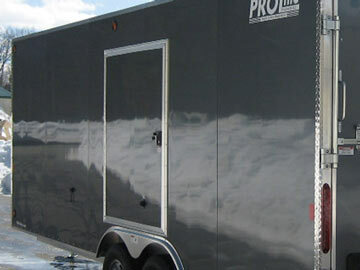 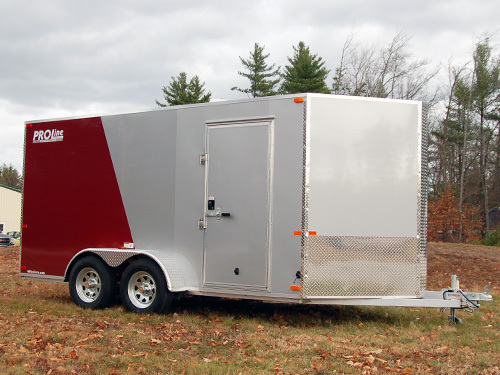 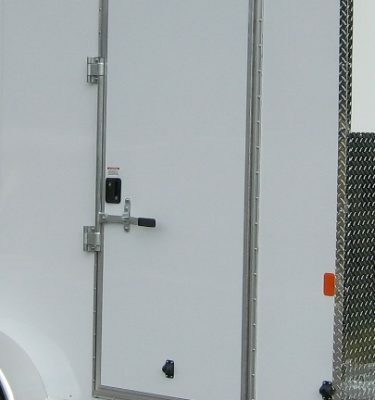 Our car hauler trailers come standard with great features like a side access door, pop-up roof vent, LED trailer lights, multiple interior lights, white vinyl finished interior walls, self-adjusting 10″ electric brakes on both axles, 15″ 225 series radial tires on 6 lug galvanized rims, and Dexter Torflex 3.5k drop axles. 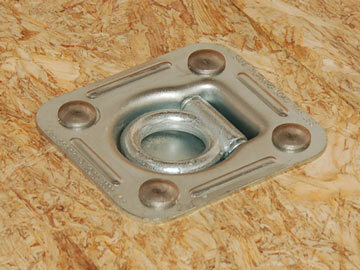 Even the 4 in-floor D-rings have backing plates welded to the frame! 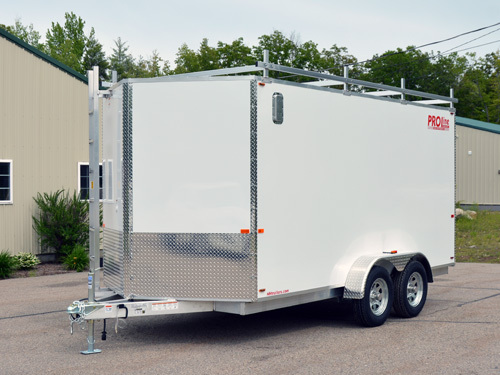 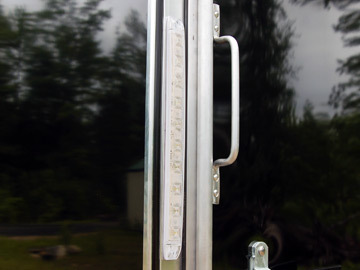 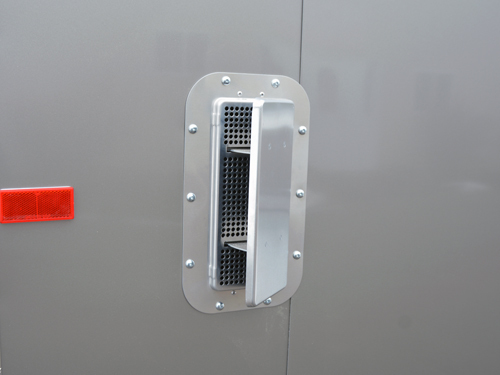 Lighter weight aluminum trailers mean you get more payload capacity out of the 7k GVWR compared to steel trailers and you’ll save a ton on gas! 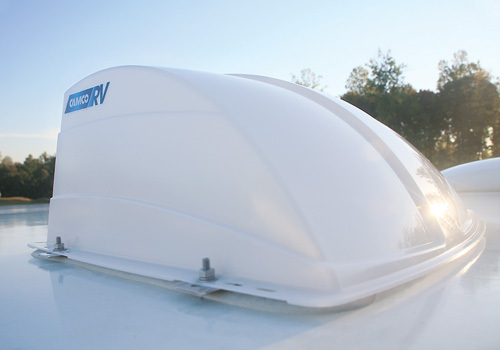 Craving even more payload? 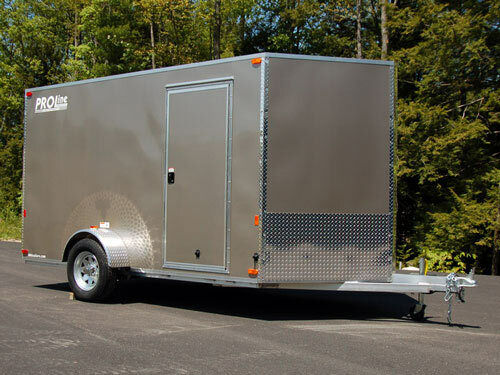 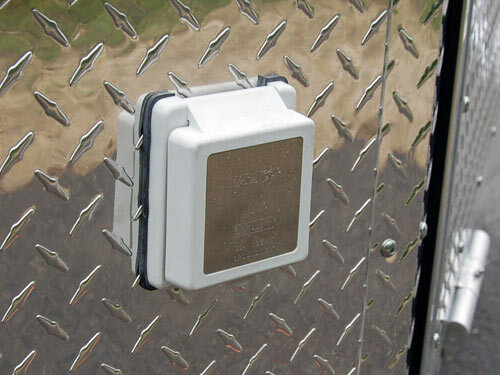 Check out our 9.9k GVWR Series! 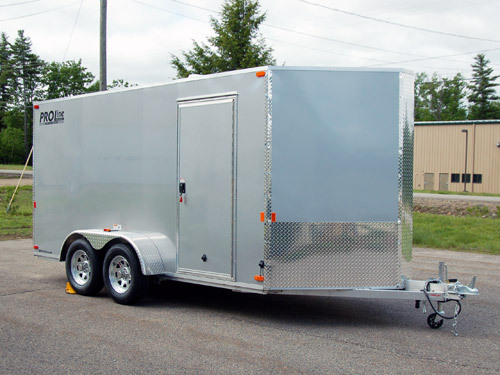 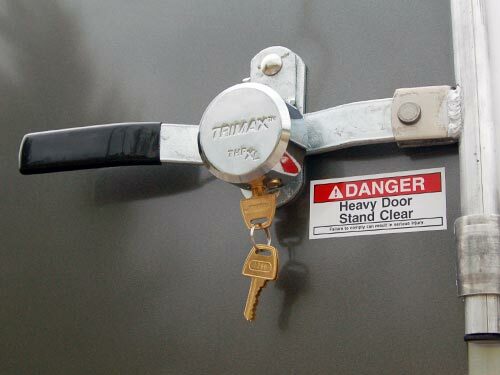 Either way you can’t lose with our quality enclosed car hauler trailers. 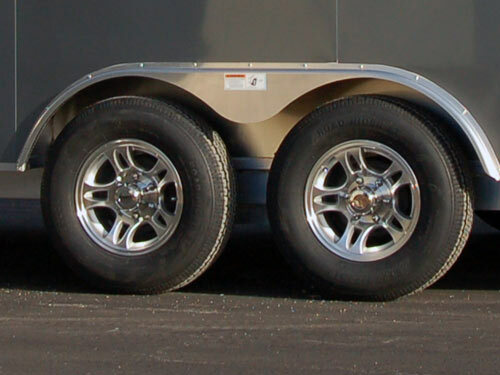 Top of Ball / Ball Size 18" / 2-5/16"
Distance Between Wheel Wells 79-1/2"